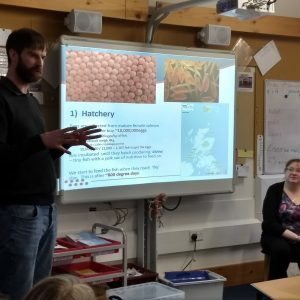 Our partner company, Cooke Aquaculture, came into school on Friday to tell us more about what the company do around the world and around Unst. 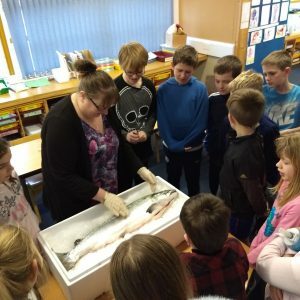 Many of our students have connections with Cooke (with parents, aunts, uncles and grandparents employed by Cooke) and the company links with the school for DYW opportunties, careers fayres and career opportunities when leaving school (several of our S4 students have gone into work with Cooke). 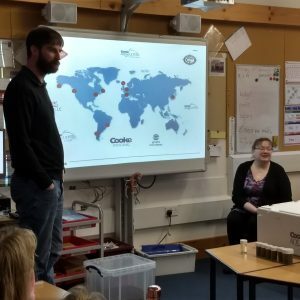 Cooke also provided all of our waterproofs back in September 2017. 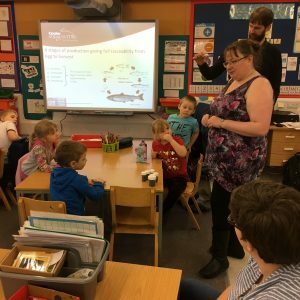 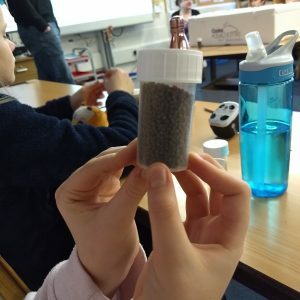 This visit into school, we learned about Cooke’s worldwide business, the process of farming salmon, the technology behind this multi-million pound industry and the number of jobs they support in the community; they also brought in some fish food, some baby salmon (smolts) and a full grown salmon, which we found out would cost around £100 in the shops. 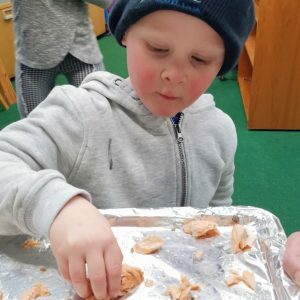 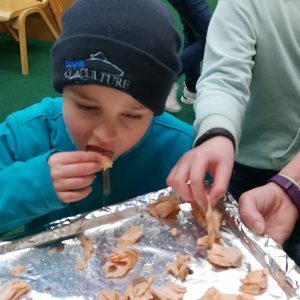 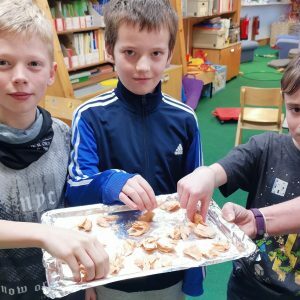 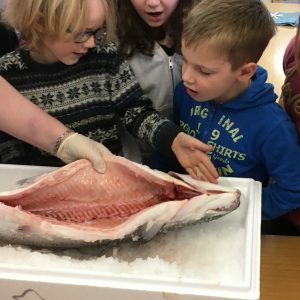 Cooke asked if the school could cook it and allow the students to taste farmed salmon from Unst – which we certainly did and it tasted amazing! 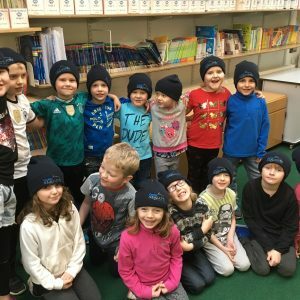 A big thanks to David Brown and Michelle Johnson for coming in and thanks for the hats – they will undoubtedly keep us warm this winter!